Arm and shoulder pain or numbness originates at the lower neck and runs down the shoulder blade into the arm and the hand. If the shoulder is overused, the cervical vertebrae may become misaligned and pinch the nerves. Chiropractic is utilized to get the vertebrae adjusted back into alignment so that the nerve is no longer pinched. Licensed, certified therapists use massage therapy to relax the muscles and stop shoulder and arm pain. 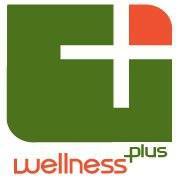 Here at Wellness Plus, we always start our treatment plan with chiropractic! To learn more about Wellness Plus' chiropractic treatment, massage therapy, rehabilitative exercises, & EMS/heat/ice treatments to ease your symptom(s), please click here.